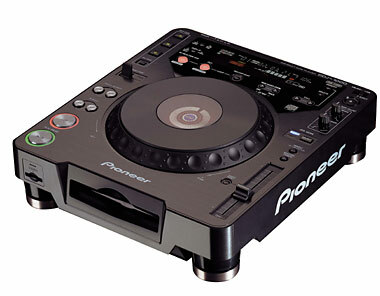 CDJ-1000, Tabletop DJ player from Pioneer in the CDJ series. 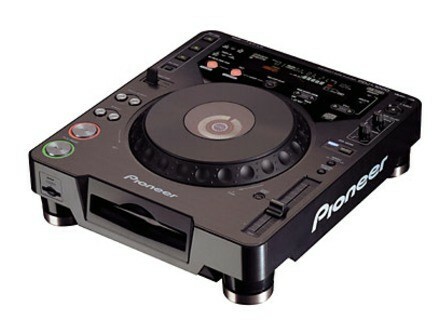 Product replaced by the Pioneer CDJ-2000 Nexus. Pioneer Pro DJ is offering special rebates this Fall. Get up to $100 worth of free music credit from Beatport.com when you purchase a CDJ-1000MK3, CDJ-800MK2 and/or a CDJ-400 from an authorized Pioneer ProDJ dealer between August 10, 2009 and November 30, 2009. Buy a MEP-7000 from an authorized Pioneer ProDJ dealer between August 10, 2009 and November 30, 2009 and get 12 free Promo Only music issues (a $200 value). Native Instruments Audio 2 DJ Native Instruments announced that Audio 2 DJ is now available in stores worldwide. Stanton Magnetics SCS.3d Package By combining two of theSCS.3d controllers with the new SCS.3m MIDI mixer, plus including Native Instrument's Traktor LE software, Stanton has put together a new SCS.3 configuration, all in one box. Mixware to distribute EKS OTUS in the US Mixware has been named U.S. Distributor of EKS, makers of the Otus Dualdeck DJ controller.